I took a little trip to my old flea market the other day, I often wonder if I had not stumbled upon this very market seven years ago, whether I would be the keen collector that I am now and whether my tastes would be quite the same. This cutesy deer was all alone on a stall, waiting to be rescued. At 20p I just couldn’t leave him behind and knew he would make for a great companion. These wooden stampers immediately caught my eye, I have been tempted by similar things in craft shops but have never been able to justify the price before. On closer inspection they don’t even looked to have been used. 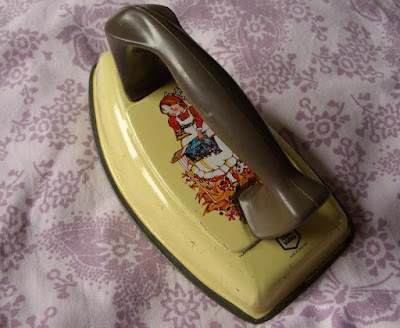 This was rather frivolous, but I couldn’t help but fall for this Chad Valley toy iron. I instantly recognised my girl Holly Hobbie on the design and was instantly smitten. Its sweet nature and vintage appeal screamed out at me, I was quite simply besotted. To say I hate ironing is an understatement, but this cute toy version sure is making me smile. 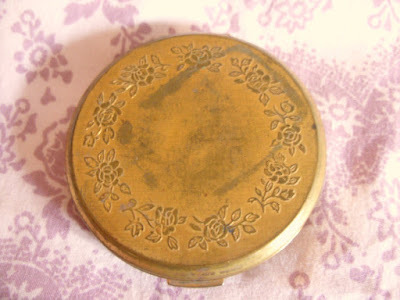 I often find beauty in imperfection; this lost and broken compact was lurking at the bottom of a 50p box. It’s a little tatty and hard to see past the broken mirror and missing powder compact, but I’ve always had a soft spot for Stratton. Our vinyl collection at home began a few years ago and has grown each summer, as we’ve picked up our very favourites at car boot sales. It’s only now I have really started to contribute my tastes to it. 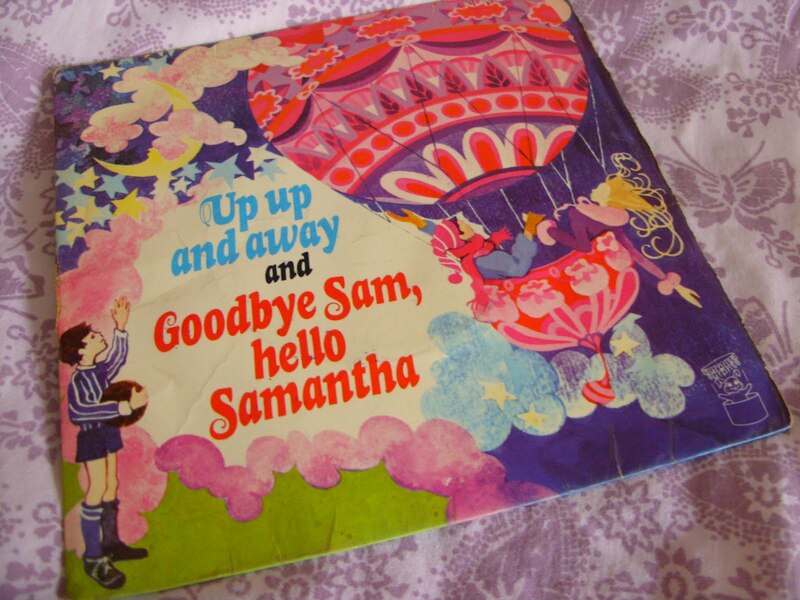 I sure found myself overjoyed to discover this Up Up and Away 7"- can’t you tell I’m obsessed with hot air balloons ever since watching UP! 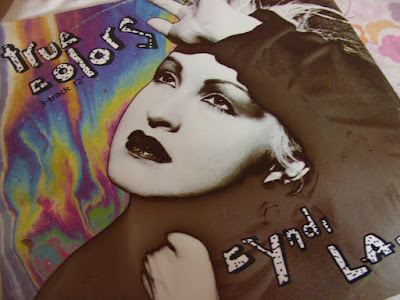 Whilst my love of all things 80s came in the form of Cyndi Lauper. As always a bit of an eclectic mix, but that’s the beauty of second-hand shopping you never quite know what you are going to find. I would not have left that deer behind either. Insanely jealous of the powder compact! Wow! 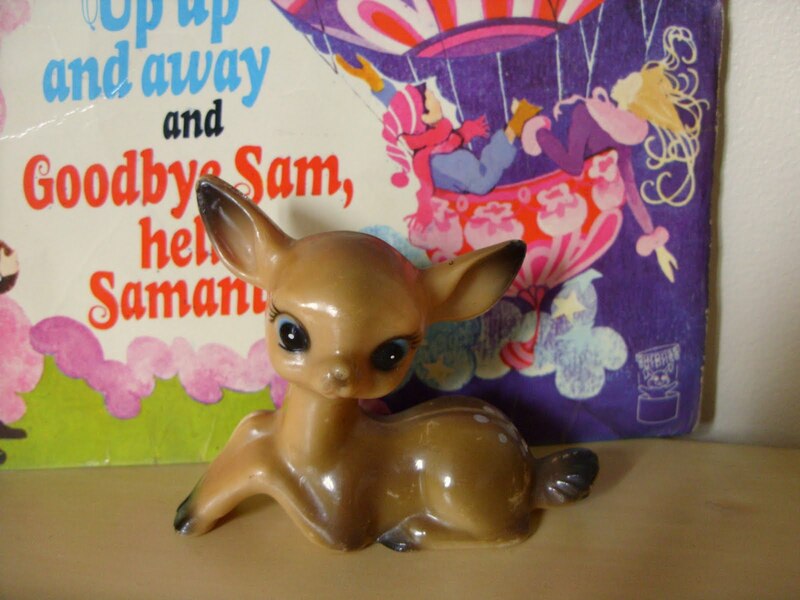 Your wee deer is so cute! 20p! N'awwwwwwwww at the little deer! He's such a little cute pie! You always find the cutest little things! That deer is a dear! I love how cute he is. That little deer is simple adorable - I wouldn't be able to leave it behind either. I absolutely love collecting vinyl! Since I got a record player I've been obsessed with scouring charity shops for great bargains - I love what you bought! 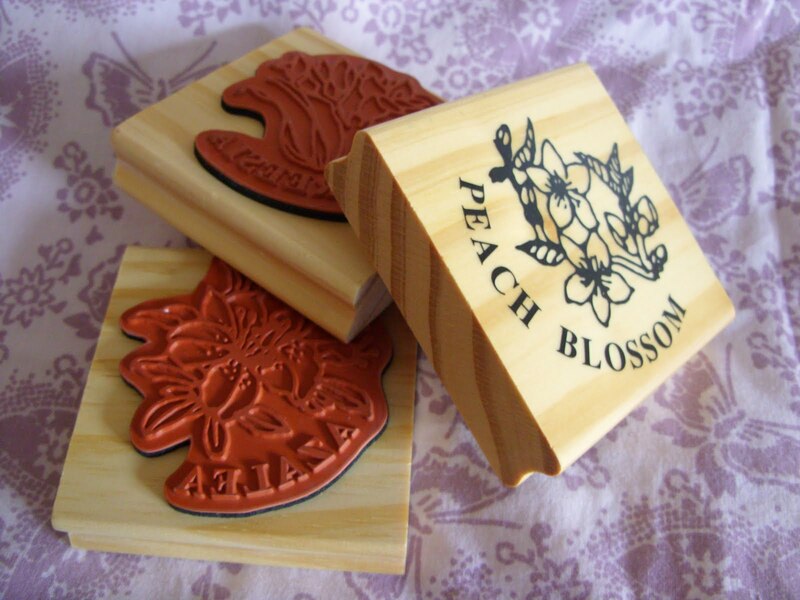 Stamps like that are stupidly expensive - I always pick up cheap ones when I see them. And I thought everyone was pricing up bambi and his friends far higher than that these days - bargain! I want your deer! Since I started charity shopping I've only ever found myself a small set of three, and I'm dying to add to my collection! XO.